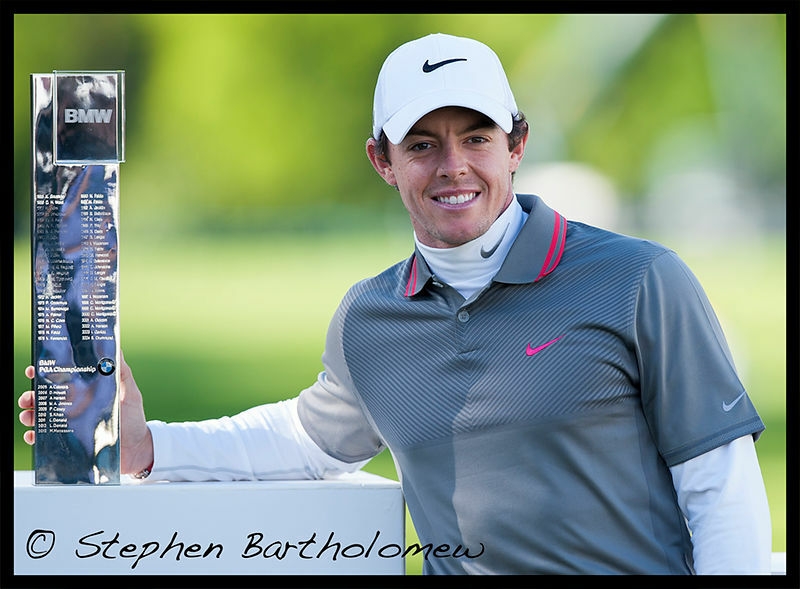 Stephen Bartholomew Photography | A Busy week - BMW PGA at Wentworth & Darts at The O2 Arena. Well the BMW PGA at Wentworth came and went and I survived a very full on week. Early starts, late finishes, two practice days, the Pro-Am on Wednesday and four days of competition. I have no idea how far I walked but probably equivalent to four times around the Badminton Cross Country Course for seven days in succession complete with camera’s lenses, food, wet weather gear. Although very hard work, I learnt a lot and came away with a number of images I was pleased with. The low point of the week was finding myself at the furthest point on the course from the media centre when the event was put on a weather hold pending evacuation. But the highlight was Rory McIlroy coming from seven shots behind the 54-hole leader Thomas Bjorn to finish on six-under-par 66 and beat Shane Lowry by one shot on the Sunday - even though it meant jumping three holes to get to the 18th as I was following the last group still expecting Luke Donald to win. On Thursday evening I took a quick blast to the O2 Arena for the finals of the PDC Premier League Darts - well not so much a quick blast more a stop start clutch pump around the M25 from Wentworth, a quick pit stop at the house for a change of clothes and gear change, followed by a one hour drive to the O2 Arena which is about 10 miles from the house. 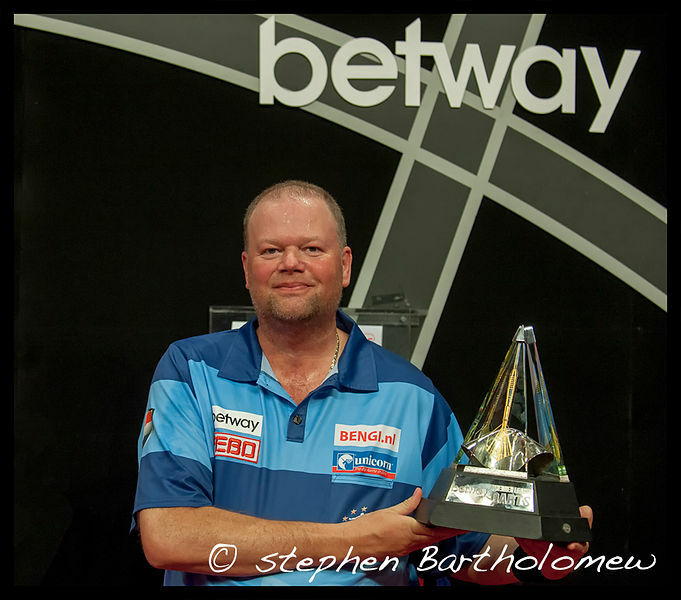 Dutchman Raymond van Barneveld and probably the least fancied outsider of the last four defeated Phil Taylor and Michael van Gerwen to win the Betway Premier League Darts title and £150k that went with the trophy. Great sporting moments both. 25.05.2014. Wentworth, England. Rory McIlroy wins the 2014 BMW PGA Championship. 2014 PDC Betway Premier League Darts Play-Off Night May 22nd. 22.05.2014. London, England. Raymond van Barneveld wins the Betway Premier League Darts Title at The O2 Arena.